Run outline of acorn man on light brown and brown construction paper. Have students cut out the top and bottom and glue top to bottom. Make face on the bottom piece by adding eyes, nose, and mouth. 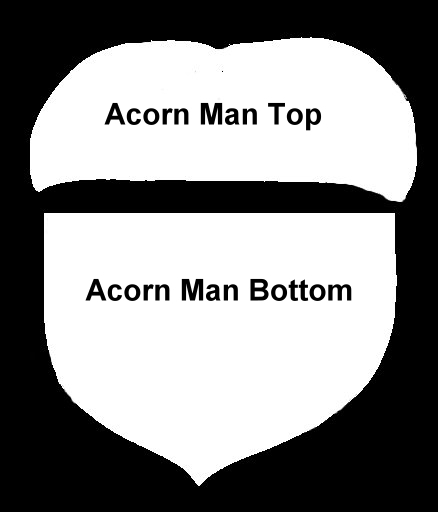 Make hatch marks on top part to make a cap for Acorn man.